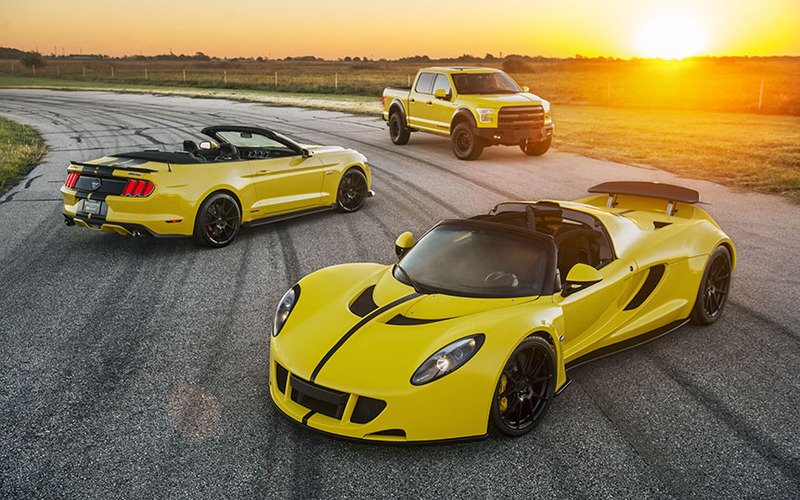 Las Vegas, Nevada-Hennessey Performance Engineering (HPE) will unveil a trifecta of speed and power at the 2015 SEMA Show on Tuesday, November 3rd at 10 am Pacific time at the Shell Pennzoil display - booth 60005 located near the main entrance of the Las Vegas convention center. 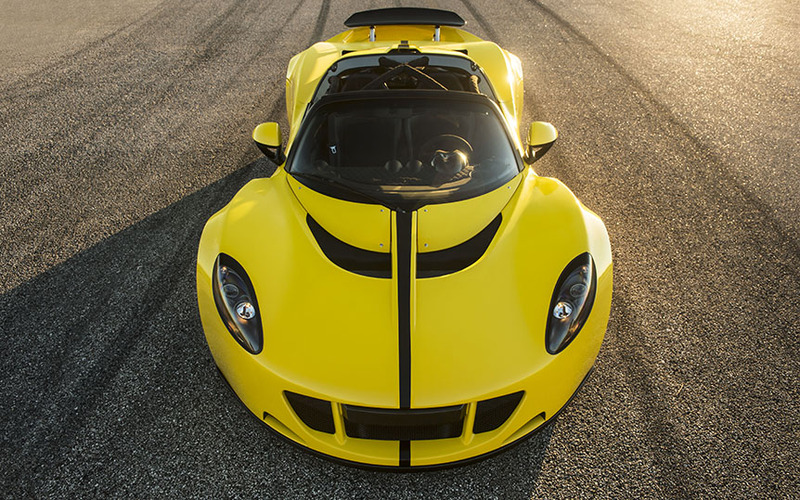 Leading the pack will be Hennessey's flagship hypercar, the Venom GT now boasting a maximum power output of 1451 bhp @ 7200 rpm, a gain of 207 bhp over the previous generation Venom which clocked a top speed of 270.4 mph at NASA's Kennedy Space Center in Florida in 2014. Horsepower and torque are increased thanks to having the ability to run E85 Flexfuel which allows its 7.0L twin turbo V-8 engine to increase boost pressure from 19 psi to 26 psi. "Being the fastest matters", said company founder and president, John Hennessey. "We are intent on keeping the Venom as the fastest, best performing and most exciting hypercar on the road". Sticky Michelin Pilot Sport Cup 2 tires will put the Venom's power to the ground via GPS-based traction control system. 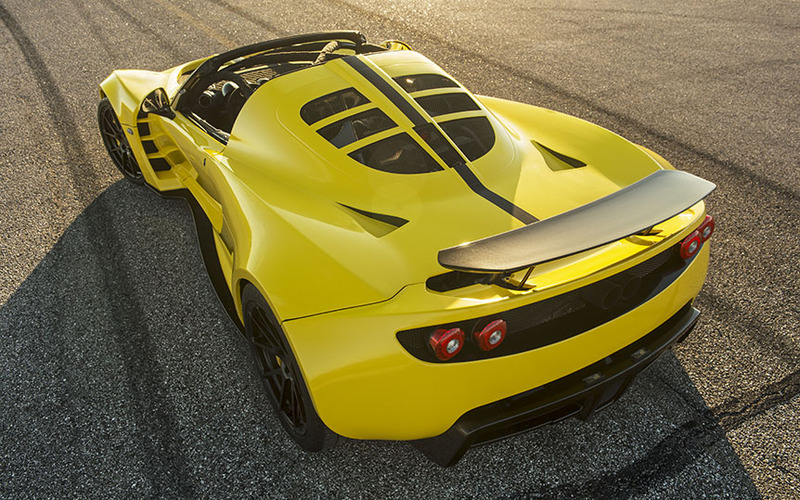 Combined with a curb weight of just 2743 lbs (1244 kg) the Venom GT continues to offer an unmatched power to weight ratio. 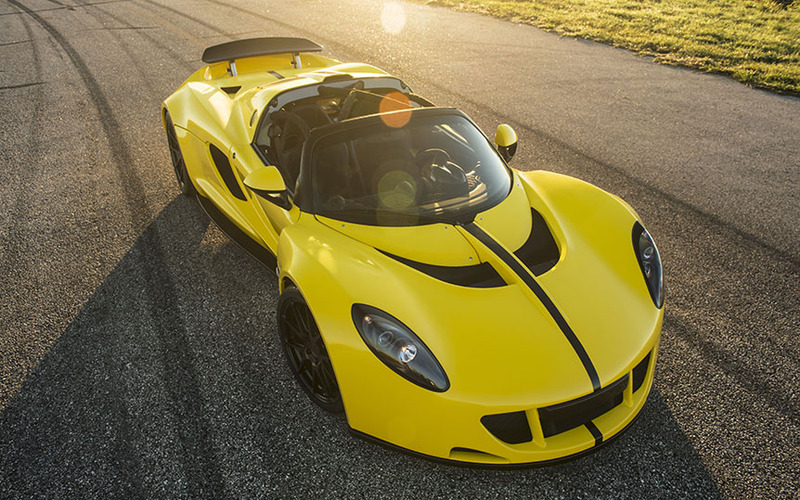 "We only plan to produce a handful of Venom GT's in 2016 as we are also preparing for our next evolution, the Venom F5", said Hennessey. "We plan to demonstrate our improved power and performance both in terms of straight line acceleration as well as road course handling and lap time performance".